Submerge yourself in this outrageously extravagant experience, where Parisian glitz meets vintage glamour in a party of Gatsby-‘esque’ proportions. 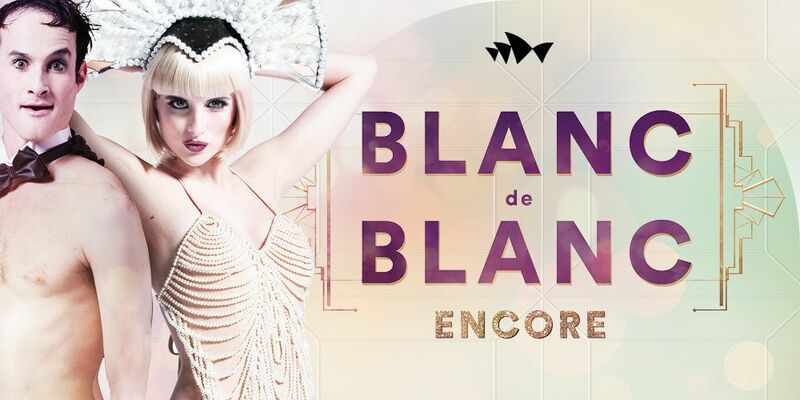 Following their smash hit tour, the hedonistic world of Blanc de Blanc returns with a brand new show, serving up an intoxicating blend of flirtation and acrobatic feats, transporting you to a champagne nirvana. From aerial acrobatics to captivating cabaret, expect big moves, great tunes and more than a few surprises. Step into the champagne-soaked burlesque world of Blanc de Blanc and enter a never-ending night of lavish laughs and frivolous fun, where spectacle and sass combine, and the lines between performers and audience blur. If you thought it was over, don’t worry – the party’s only just begun! Guaranteed to have you shouting for more, this is the encore you’ve been waiting for. Dress Code: Blanc de Blanc Encore is a party and you’re invited to observe the theme – Vintage white with a dash of sparkle. Sydney Opera House presents the Strut & Fret production.